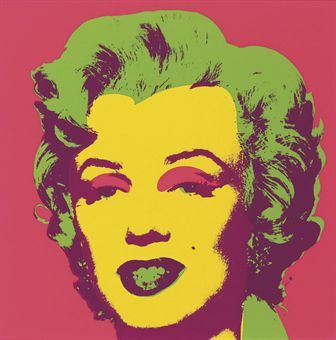 Marilyn Monroe by Andy Warhol (1967). Image Source: Christie's. Most alternate histories imagined by Baby Boomers are dystopian, eerie, fascist and terrifying. These are explorations of 'what could have been' if World War II or another key moment in history had turned out differently, which would have meant that the Boomers themselves would not come along. These stories reassure against generational doubt, and implicitly insist on the rightness of 1968's path. Later books involve Boomer meditations on what-ifs around post WWII events: the Cuban Missile Crisis, the Kennedy assassinations, 9/11. Given this generational fascination with fictional historical alternatives, it may seem strange that a very real, living alternate history has been ignored or smoothered by the Boomer media. This is so much the case that among generational commentators, that alternative might as well not exist. There is a real alternate history to the Baby Boomers' 1968 social revolution, and it is the legacy of the Silent generation, born roughly from 1925 to 1945. Silents were dubbed as silent when they were anything but. They created a reality that shared elements of Boomer ideals, but Boomers could not fully appropriate these elements for their radical and iconoclastic ends. If you want to see the Boomers' 'path not traveled,' you have to look at the work and perspectives of the Silent generation.